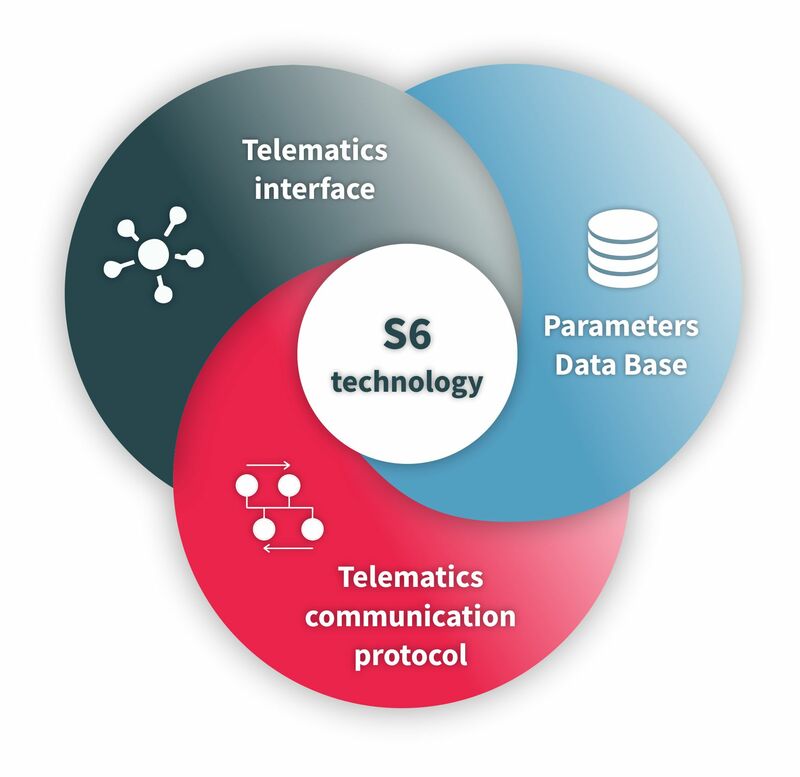 S6 is a technology that combines a data communication standard for a wired network of smart sensors, as well as a data handle standard for collecting, processing and reporting in an information system of any scale. The technology is applied for fast development of Industry 4.0 smart sensors, I/O modules, gateways, telematics trackers and software. It makes possible to handle thousands of operational parameters of controlled objects in one information system. And it opens new horizons in building comprehensive systems of telematics, diagnostics, remote monitoring and control. 01. Telematics interface is used to create networks of sensors, gateways and other telematics devices on a controlled object. It includes a set of cables and hardware requirements to provide data transfer, power supply and device configuration. Interface conforms to ISO 11898-1:2003, ISO 9141 and ISO 14230. 02. Telematics communication protocol conforms to requirements of SAE J1939/21. Parameters, structure and content are defined by Application Layer SAE J1939/71. 03. Parameters Data Base includes over 3000 parameters in sum, contains 800+ unique telematics messages.